A favourite in the hatchback segment, the Honda Fit has offered impressive interior space for many years. 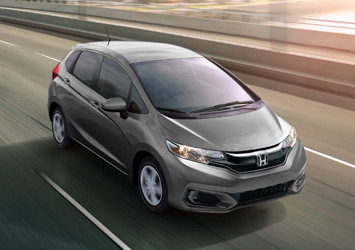 For 2019, the Honda Fit is new and improved with updated styling, more active safety features, and an additional trim-level for even more options than ever before. All these improvements and the Fit still manages to keep its agreeable pricing. It’s as impressive as it is versatile. We’re expecting the 2019 Honda Fit to be another hit amongst people who want practical and ample space in a vehicle. 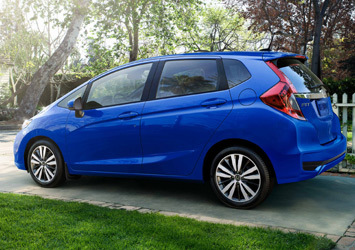 Come to Huntsville Honda to learn more about the best and the latest features for the Honda Fit. The 2019 Honda Fit comes with the 1.5-litre, 16-valve, Direct Injection, DOCH, 4-cylinder engine. It’s capable of generating a horsepower of 130-hp and a torque of 114 lb-ft. Meanwhile, you also get to choose between either a six-speed manual transmission and a continuously variable automatic transmission (CVT). There’s also an available ECON mode button for CVT models so you can reduce your fuel consumption and spend less time at the gas pump. With its configurable rear seats on the 2019 Fit, there’s rarely anything you can’t fit inside its spacious interior. When you need to stow away wider items, the rear split bench folds flat from the rear bumper all the way to the back of the front seats. The bottom cushions also flip up vertically when you have to load taller items through the side doors and set across the rear footwells. 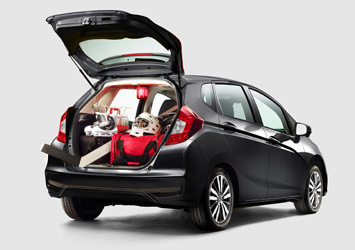 It’s one of the reasons the Honda Fit has some of the best-in-class storage for a subcompact vehicle! The Honda Fit’s wide shape is evident because of its hatchback design. Otherwise, it still incorporates sleek aesthetic choices such as its 16-inch alloy wheels, integrated fog lights, and front spoiler along with a rear exhaust finisher to give the Fit a sportier look. For practicality, the folding side mirrors also come heated with turn indicators and are power adjustable. When you step inside the Honda Fit, you’ll immediately notice how cleanly styled it is. The upholstery is well-assembled with high-quality materials in its leather-trimmed seating surfaces. The steering wheels and shift knob are also leather-wrapped for a more streamlined look. For added convenience, there’s also a centre console with an armrest that also includes a USB connector for convenient charging for any electronic device. 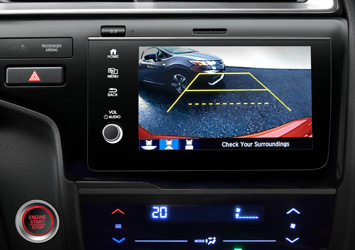 The 2019 Honda Fit also comes packed with new driver aides and active safety features so you can have peace of mind while driving o the road. Additionally, the updated infotainment system comes with more smartphone integration to get the most out of your driving experience in the form of both Apple CarPlay or Android Auto compatibility.